Товарен самолет Hercules L-100-20 на базираната в ОАЕ Transafrik International се разби в планината Мурварид, на превала Махипар при подхода си за кацане на около 25 км северо-източно от Кабул, в близост до Пули-Чархи- предградие на столицата. Самолетът, с регистрационен номер 5X-TUC и нает от National Air Cargo, изпълнявал полет MUA-662 от авиобазата в Баграм за Кабул превозвайки товари за коалиционните войски в Афганистан. Според очевидец самолетът се е възпламенил при удара. След такива удар и експлозия е трудно да се определят броя на жертвите изхождайки от останките им, но доминира версията, че на борда е имало 8 души, въпреки че началникът на летището в Кабул е споменал пред медиите за 9. Потвърдено е за 6 филипинци на борда в състава на екипажа (в това число са двамата пилоти) както и за индиец и кениец. Няма оцелели. Все още не се знаят причините за катастрофата, но според говорителя на афганистанското министерство на отбраната, а и според мнението на някои пилоти близостта на планинските формирования край Кабулското летище създава проблеми при навигацията и изпълнението на подхода за кацане. A Transafrik International Hercules L-100-20 (civilian version of the C-130) on behalf of National Air Cargo, registration 5X-TUC performing freight flight MUA-662 from Bagram Air Base to Kabul (Afghanistan) with 8 crew and NATO supplies, impacted a mountain in the Pol-e Charkhi area about 6nm northeast of Kabul Airport around 19:50L (15:20 GMT) at approximately 1000 feet above aerodrome elevation and about 200 feet below the peak. All 8 people on board perished. The Philippine embassy in Islamabad confirmed that six Filipinos perished in a cargo plane crash in Afghanistan. The Filipino fatalities include pilot Henry Bulos, co-pilot Rene Badilla, crew members Nilo Medina and Ibelo Valbuena. There were also two unidentified Filipinos, a certain Mr. Castillo (mechanic) and a certain Mr. Padora (avionics). Along with the six Filipinos were an Indian and a Kenyan national. Both also perished in the crash. Gen. Zahir Azimi, the Afghan Defense Ministry spokesman, said the plane went down near Pul-i-Charkhi, east of Kabul. The city lies in the middle of a circle of mountains, and when planes reduce altitude as they are coming in for a landing they run the risk of crashing into the surrounding peaks. An eyewitness, Sibghatullah, who lives in the area, told Pajhwok Afghan News over the telephone that the plane burst into flames after crashing into mountains in the Mahipar pass near a police checkpost. A joint Afghan-international security force is conducting a search and retrieval mission. 01.10.2010*/US/MI/Clinton County/St. Johns - The 37-year-old pilot of a small plane and his 39-year-old passenger received minor injuries after their twin engine Cessna crashed into a cornfield due to an engine trouble and a loss of power. */Australia/VIC/Lancefield - A Van's RV-8A plane (VH-MKX) crashed into trees after the engine failed. The pilot escaped with only minor injuries. */US/GA/Butts County/ 3 mls off of Starke Road - A Glassair SH2 experimental plane crashed injuring the male pilot and a female passenger. */Sweden/Alvsbyn-Hogheden airfield (ESUV) - The PA32R-301T Saratoga SP plane (SE-IDT) crashed on the railway track in Hogheden injuring the pilot. */South Africa/Mpumalanga/Schoemanskloof - A small plane collided with an eagle and the pilot was forced to make an emergency landing. The 2 occupants suffered minor injuries. 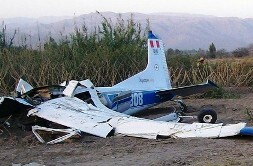 02.10.2010*/France/Les Moeres - Two Belgian planes have collided on Saturday over the northern French town of Les Moeres. Two people, on board of the Aveko VL-3-B Sprint (OO-G55), were killed in the accident and two wounded in Cessna-172 (OO-WAO). */US/KY/Spencer County/Taylorsville - A small plane crashed on approach injuring slightly the pilot. Peru/ Nazca Lines - A small plane carrying British tourists crashed near the famed Nazca Lines in Peru on Saturday, killing all six people on board, police said. The victims were listed as four Britons — three men and a woman — and the pilot and co-pilot, both Peruvian. The Cessna 185 plane, registered OB-1808 and operated by Air Nasca Travel, apparently had engine trouble that led it to crash in a field. Police were working to recover the bodies. An official who answered the phone at the British Embassy in Lima declined to comment without authorization from London. The Nazca Lines, mysterious geoglyphs etched into the desert centuries ago by indigenous groups, are a UNESCO World Heritage Site and one of Peru's leading tourist attractions. Located about 240 miles (385 kilometers) southeast of Lima, the glyphs are only fully recognizable from the air, and 30-minute overflights are popular with travelers. The Cessna plane carrying British tourists crashed near Peru's famed Nazca Lines, killing all six people on board.The victims are listed as four Britons and two Peruvians. 03.10.2010*/US/CO/La Plata County Airport - A Cessna-172D plane (N2593) crashed a few minutes after takeoff injuring slightly the 2 occupants. */US/CA/Santa Catalina Island/Avalon - A 1956 Cessna 310 plane (N310XX) crashed shortly after takeoff and caught fire injuring the 3 occupants. */Japan/Osaka Prefecture/Yao Air Base - A military Fuji-Bell UH-1H (205B) with registration no 41720 crashed during a test flight injuring seriously 1 and slightly 3 others on board. */Paraguay/ near General Diaz - The Paraguayan Air Force Bell UH-1H helicopter hit a bird during initial climb and went down injuring seriously 1 of 8 aboard. 05.10.2010*/US/SC/West Columbia/Highway 302 - A Cessna 182P Skylane plane (N21415) made an emergency landing on the highway due to engine problems. One of the two occupants sustained minor injuries. Bahamas/ Nassau/ Lake Killarney - A small aircraft crashed into Lake Killarney shortly after takeoff killing all eight men onboard. Seven of the men in yesterday's crash died instantly and the eighth succumbed to his injuries en route to the Princess Margaret Hospital a short time later, officials said. The victims in the crash include: Captain Nelson Hanna, Delon Taylor, Devin Storr, Nat Williams, Chet Johnson, Sasha Mildor, Cory Farquarson, and Lavard Curtis. 06.10.2010*/Germany/Berchtesgaden/Gotzenalm - An Aerospatiale AS 350 B3 Ecureuil helicopter crashed injuring slightly the pilot. */Bahamas/Little Whale Cay - Four people, including a pregnant woman have been injured in a plane crash. The pilot is in critical condition. */US/IL/Naperville - A small plane crashed into Naperville Fitness Center injuring slightly a couple. */Tajikistan/180km east of Dushanbe/Rasht region - Tajikistan's officials have confermed that 23 people were killed and 3 are missing in a helicopter crash in the east of the country where a military operation against Islamist militants is under way. The National Guards said in a statement that four crew members were killed when the helicopter Mi-8 went down and three technical support staff died later as a result of their injuries. 07.10.2010*/US/TN/Hamilton county/Middle Valley/Dallas Bay Skypark - After overshooting the runway, the 1972 Piper Aero airplane (N601TG) went through a fence and ended up in a culvert on the edge of Crabtree Road. The plane suffered damage on its front. 09.10.2010*/Poland/ Bezmiechowa airfield - A SZD-9bis Bocian glider (SP-2802) crashed into a hangar wall on landing killing the 42-year-old pilot and injuring the instructor. */Brazil/near Pirassununga Air Force Base - A training military glider TZ-23 Super Blanik, registered FAB 8074, crashed killing the 2 occupants. */US/CA/near Highway 49 and Woodridge Drive - A female pilot rescued after her glider snares in power lines. 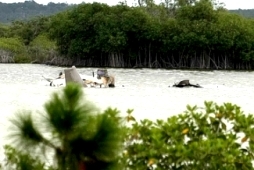 10.10.2010*/Costa Rica/ near Tobias Bolanos Airport - A Guatemalan Piper PA-28-R200 Cherokee Arrow plane (TG-CEB) carrying 173 kilograms of cocaine crashed shortly after takeoff. The copilot of the crashed plane, Anibal Monzon, died Monday in a public hospital in the Costa Rican capital. The pilot, identified as Otto Ramirez, remains in "critical but stable condition," according to the hospital. Both are Guatemalan. */Australia/NSW/Woodford - A helicopter crashed in a foggy weather injuring the 6 occupants. */US/OR/Portland - A Cessna-172N plane (N738GN) was forced to make an emergency landing in a field and was damaged. */Nepal/Simikot Airport (IMK/VNST) - The Makalu Air Cessna 208B Caravan I plane (9N-AJG) suffered runway excursion due to brake failure on landing. */US/MN/Rice County - A Zenair CH701 SP plane (N157SB) struck power lines and crashed in a bean field, hitting a harvester vehicle in the process. The 2 occupants escaped with minor injuries. */US/FL/West Boynton Beach - A Cessna-172S plane (N423FT) crash-landed in a field due to an engine failure. */Slovenia/Slovenj Gradec - An experimental IBIS-RJ03 ultralight plane (S5-MMA) crashed in a wooded area injuring the 2 occupants. 11.10.2010*/US/MN/Clarissa - A Luscombe plane crashed into a hayfield sending the pilot to the hospital with minor injuries. */US/TN/ Jefferson County/ New Market - A homebuilt ultralight plane crashed injuring the pilot. */US/UT/Blanding City Airport - A small plane crashed moments after takeoff onto the grounds of a detention center near Blanding. The 2 people aboard the aircraft received just minor injuries. 12.10.2010*/Afghanistan/ Kunar province/ Maravar valley - ISAF Boeing CH-47 Chinook crashed on landing killing 1, injuring 8 of 26 people on board. */US/FL/Lake Harris - A Dunlap Long EZ plane (N539AD) was forced to make an emergency landing onto the lake due to fuel exhaustion. The pilot escaped with minor injuries and was rescued by boat. */Norway/Lillestrom/Kjeller airfield - A Cessna U206G Stationair airplane (LN-ALD) overran the runway on landing and overturned damaging the fuselage. */Spain/Navarra/Baztan Valley - A Robin DR400-180 airplane (F-GJLM) slammed into a mountainside in the Baztan Valley region of the province of Navarra killing the 3 occupants, who are believed to be French nationals. An Afghan soldier keeps guard near the site of a plane crash east of Kabul October 13, 2010. 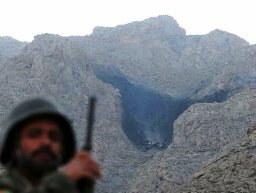 A civilian cargo transport plane crashed into remote mountains near the Afghan capital Kabul on Tuesday evening, killing eight people on board. Причины крушения самолета, который следовал с военной авиабазы в Баграме в Кабул с грузом амуниции для НАТО, пока не известны. Грузовой самолет Hercules L-100-20 (5X-TUC) базирующейся в ОАЭ авиакомпании TransAfrik был зафрахтован логистической компанией National Air Cargo, работающей по контракту с контингентом НАТО в Афганистане. Самолет разбился в горах перевала Махипар во вторник примерно в 25 километрах к востоку от Кабула. Всего на борту самолета, предположительно, находились восемь человек. Между ними были 6 филиппинцев. Все на борту погибли. 13.10.2010*/US/TX/Newton County/Newton - A helicopter used for spraying herbicide crashed during takeoff injuring a man on the ground. 14.10.2010*/US/WA/Burlington/Skagit Regional Airport - The single engine, single seat, experimental lightweight BD5 Aircraft (N52560) spun across the taxi way and into some grass on the south end of the runway around 11:30 a.m. The pilot suffered some back pain. */US/CA/Riverside County/Lakeview/several miles north of the Perris Valley Airport - A small plane crashed on landing injuring the pilot. 15.10.2010*/Mexico/Baja California/30 miles south of Ensenada - Four Americans were killed in a Beechcraft A36 Bonanza plane (N212DB) crash in northwestern Mexico, the president of the volunteer organization Flying Samaritans said. He identified the victims as: James Thornton, a plastic surgeon; Graciela Sarmiento, a doctor; Andrew Theil, a non-medical support staffer; and Roger Lyon, the pilot. */Australia/ Tasmania/ Flinders Island/ Strezlecki National Park - A Gippsland GA-8 Airvan plane crahed in bad weather. The pilot and all 6 passengers managed to escape with only minor injuries as a small fire started on board the plane. Mexico/ Veracruz/ Las Choapas - A contractor helicopter serving Mexico's state-owned oil company Petroleos Mexicanos (Pemex) crashed in southeastern Mexico on Friday afternoon, killing all nine people on board, officials said. The Bell 212 helicopter, registered XA-IUR, took off from Ciudad del Carmen, a port city in Campeche state, and was bound for the town of Minatitlan in Veracruz state. It was registered to Heliservicios Campeche but was transporting Pemex employees at the time of the crash. According to eyewitnesses, the aircraft caught fire in the air and crashed in the municipality of Las Choapas, in Veracruz state. The authorities confirmed that 7 persons have been identified as the pilot Edel Montes Rios, the co-pilot Leonardo Arteaga also the workers of Cotable, Jose Luis Salas Ventura, Manuel Gonzalez and Luis Hernandez, also the workpeople of Heliservicios de Campeche, Alfonso X and Aaron X. Only two persons remain unidentified. 16.10.2010*/Turkey/Tekirdag province/Jenice village - The Diamond DA-20 Katana training plane, which belonged to Anadolu Stars Flights School, took off from Corlu Airport in Tekirdag province, 135 km west of Istanbul and crashed near Yenice village. The pilot was rescued. */Germany/Munich/Bergkirchen - A 26 year-old man rented a single-engine Cessna-172 airplane with pilot for a round flight over Munich. At 500-meter altitude he has attacked the 42 year-old pilot with a knife. Attack on pilot failed, then the passenger jumped from airplane and died. 17.10.2010*/Canada/ East of Flesherton - A small plane crashed on takeoff into trees. No injuries. 18.10.2010*/Canada/Collingwood - An amateur built Zenair ultra-light plane was taking off when a gust of wind sent it into a line of trees. No injuries. */US/FL/Titusville - A training Piper PA-28-161 Warrior II plane (N9247V) struck a deer on takeoff, damaging the landing gear, and circled for an hour and a half to consume fuel before landing. The occupants were not injured. The deer was killed. 20.10.2010*/US/OH/Columbus/Rickenbacker International Airport - A fire official says four paratroopers have been injured at a central Ohio airport. 21.10.2010*/Gaza - An Israeli unmanned reconnaissance plane crashed. */US/WA/Colville Airport - A small single-engine plane (N471B) crashed in a field. No injuries. */DR Congo/ Bugulumisa - A Let 410 plane, registration reportedly 9Q-CUA, was damaged beyond repair in an accident. Both crew members were killed. The airplane operated on a cargo flight from Bukavu-Kamenbe Airport (BKY) to Shabunda Airport. */US/GA/Burke County - A small plane went down into the woods a little after 7 p.m. The pilot parachuted out of the plane before the crash. No injuries. 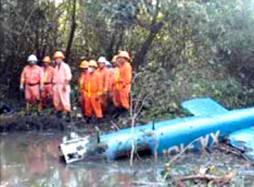 23.10.2010*/Brazil/MG/Bom Jesus do Amparo - An Excel Cargo plane (PU-MBH) crashed on landing killing the 2 occupants, father (60) and his son (32). */Kenya/Kilifi District/ Mikaoni village - A Piper PA-32R-301T Saratoga II TC airplane (5Y-NAM) crashed in a field killing the pilot. */Germany/Ballenstedt/Halberstadt - A PZL Bielsko SZD-30 Pirat glider (D-2754) crashed 8 minutes after take-off into a field. Pilot (45) was injured. 24.10.2010*/Argentina/ La Pampa province/ Santa Isabel - Twelve people had a miraculous escape when their plane, An-2T (CX-CAP), crashed shortly after takeoff and caught fire. The occupants managed to evacuate the plane by themselves and only one of them was taken to the hospital with a broken leg, police said. */Nigeria/ Lagos/ Murtala Muhammed Airport - Aero B737-500, flight AJ 320 from Port Harcourt to Lagos, made an emergency landing due to a sudden loss of pressure and huge smoke in the aircraft cabin. More than 15 passengers aboard were injured. */Belgium/ BRU - Turkish Airlines Airbus A340-313X passenger plane (TC-JDN), flight TK 1937 got engine no.1 hit the runway while apporaching towards runway 25. The pilot kept the control of the plane and got to the gate safely. No injuries. */Germany/Altenbeken/ near Paderborn - A Robinson R44 Raven II helicopter (D-HMMB) crashed on landing injuring seriously the 4 occupants. 25.10.2010*/Canada/AB/near Kirby Lake airstrip (CFR4) - A Beechcraft King Air 100 plane (C-FAFD) crashed on approach killing 1 and injuring 9, 4 of them seriously. */US/CA/Tuolumne County/Pinecrest - A single engine Piper aircraft crash landed in the Stanislaus National Forest. The pilot suffered minor injuries. 26.10.2010*/US/IL/Chicago/DuPage Airport - Three parked planes were destroyed by the wind as the Great Lakes Cyclone swept through the area. One of them registered N5807B. Two planes flipped over and tossed into each other in the wind, while a third was blown into a parking lot. 27.10.2010*/Indonesia/Papua province/ Nabire district/ Wami - A PZL-Mielec M28-05PI Skytruck police plane crashed into a tree during an emergency landing killing the 5 policemen on board. 28.10.2010*/US/FL/Pasco County/Wesley Chapel - A single-engine plane skidded off the runway and landed on two cars in an industrial business parking lot. No injuries. */US/KY/Trimble County/near Bedford - A Cessna 177 Cardinal, tail number N33224 and registered to the Panama City Beach Flying Club crash-landed in a field. No injuries. */Antarctica/about 62 miles (100 kilometers) from the Dumont-d'Urville station - A French Aerospatiale AS 350 Squirrel helicopter crashed killing 4 people. 29.10.2010*/US/AZ/Prescott - A Robinson R-22 helicopter made a hard landing and was damaged. No injuries. 30.10.2010*/Bangladesh/Omarpur/ river Jamuna - A flying club training Cessna-152 has crashed into river Jamuna killing 1, injuring 1. */Brazil/SP/Pinhalzinho - Two hot air balloons crashed killing 3 and injuring 11 occupants. */US/WV/Tucker County/Lead Mine Mountain area/ near Thomas - A helicopter used by crews for work on the Trans-Allegheny Interstate Line(TRAIL) power line project crashed killing 1, injuring 3 others on board. 31.10.2010*/Czech Republic//Jesenik - TST-10M Atlas plane (OK-A208) crashed on a roof of swimming pool and damaged beyond repair. No injuries. */South Africa/Johannesburg-O.R. Tambo International Airport (JNB/FAJS) - A McDonnell Douglas MD-80 passenger plane with 128 occupants aborted take-off. Passengers were evacuated via the emergency chutes. In the process of evacuation, 11 passengers were injured.